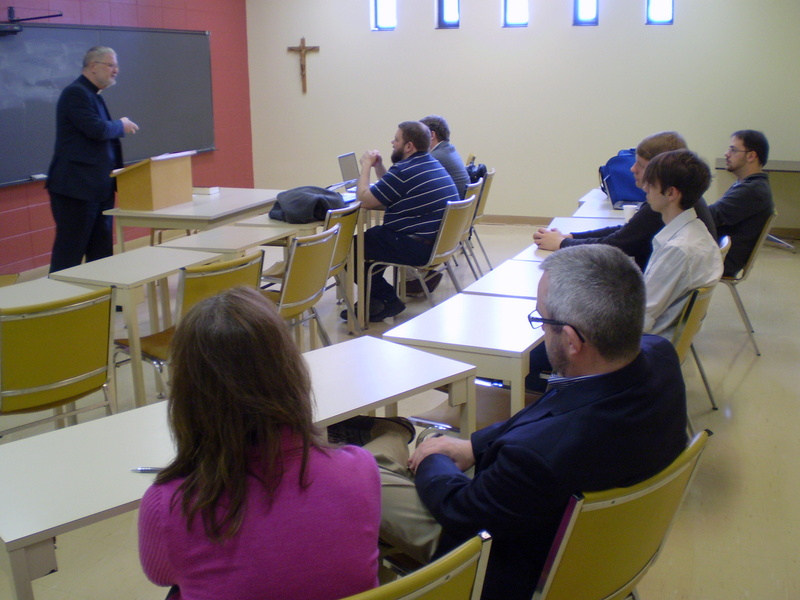 The mystery of theological education was slowly revealed as our guests attended classes in Christian doctrine and preaching, and also participated in the weekly “Pericope Seminar” that models how a pastor studies a text and prepares to preach. They attended Morning Prayer in the Martin Luther chapel. 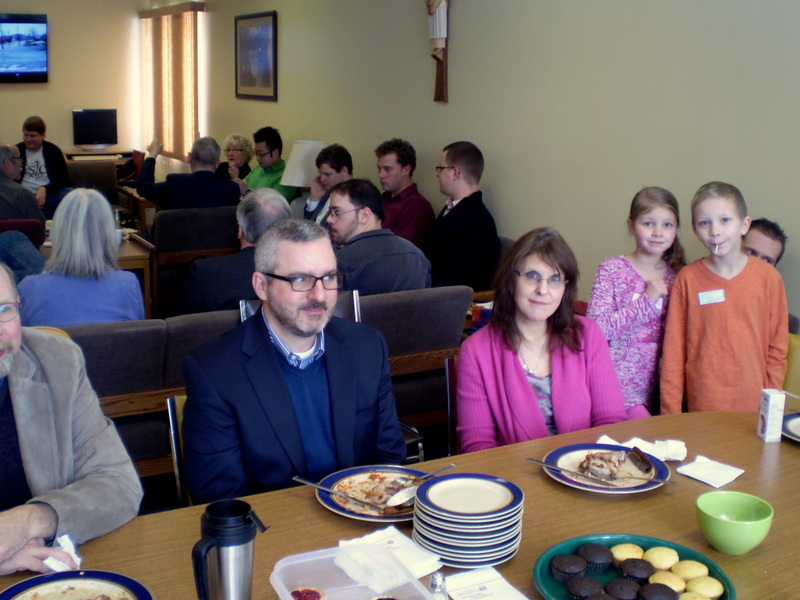 At a hearty lunch, shared with 30 members of the seminary community, new friends were made over chicken, pasta–and Olympic hockey on the students’ new big screen! If you are interested in your own tast of the seminary, please contact us about a visit. We’ll be glad to have you.